"On my honor, I will do my best to do my duty to God and my country..."
"On my honor, I will try to serve God and my country..."
"On my honor, I will do my best to serve God and my country..."
"I promise to love God..."
"...I will ...be faithful in my religious duties..."
Members of the Churches of Christ for Scouting (MCCS) is dedicated to helping youth develop servant hearts for Christ. MCCS is an organization, independent of but recognized by the Boy Scouts of America (BSA), Girls Scouts of the U.S.A. (GSUSA), Trail Life USA (TLUSA) and American Heritage Girls (AHG)programs. MCCS now has Hiking Staff Medallions. These are heavy brass medallions that will last a lifetime and show your proud association with MCCS. 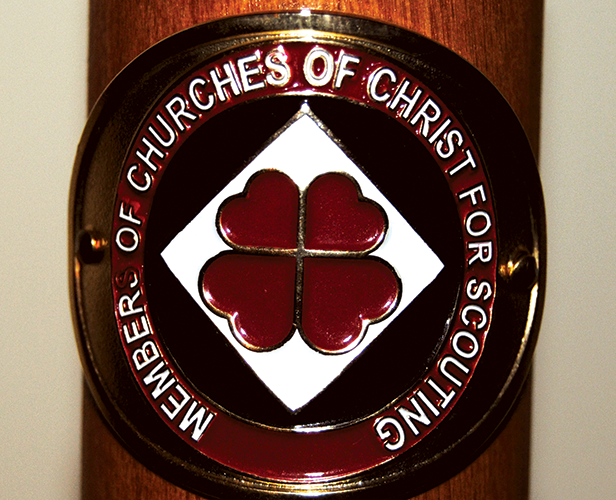 They are solid brass with the red, black and white of the MCCS patch emblem overlayed. This is a great gift to accompany an award presentation or to say thank you to a troop member, friend, counselor, or mentor. They are 1 1/2 inches tall. They look great on wooden hiking staves and are a great addition to a TLUSA Trailman’s standard or a scout hiking staff. 2019 MCCS Servant Leadership Scholarships! MCCS is proud to announce that in 2019 it will again be offering scholarships to entering freshmen. Applications for the 2019 MCCS scholarship are due by March 31, 2019. In 2013, MCCS was able to fulfill one of our longtime goals. The trustees decided that it was time to step out in faith and provide college scholarships to deserving young people involved in the scouting movement who had been active in earning MCCS’s Servant Leadership Awards. The trustees allocated the proceeds from the MCCS endowment for that year to set up a new scholarship fund. In 2014, MCCS established a separate endowment to help us in this new endeavor to continue to serve youth. 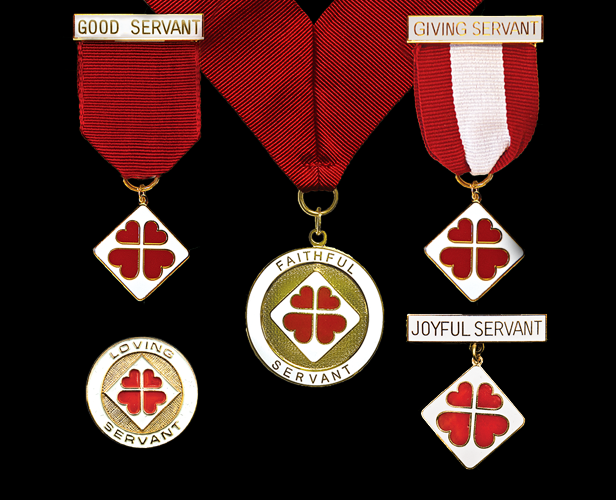 The board feels that this is one more way that MCCS can serve young people and encourage them to earn the Giving Servant Award.